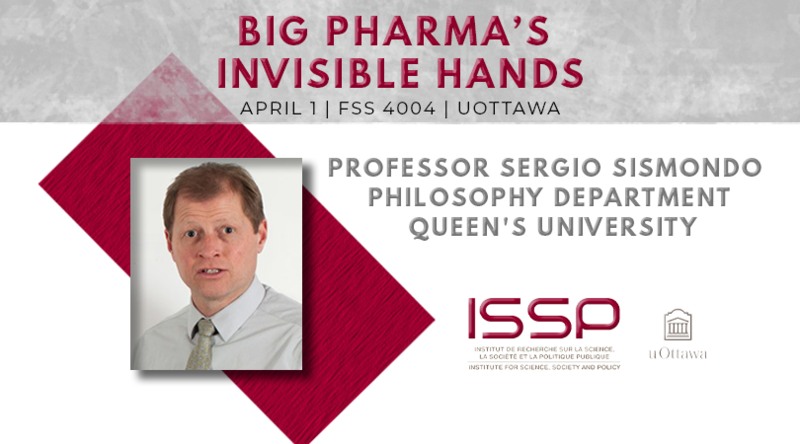 The ISSP was delighted to host Professor Sergio Sismondo from Queen's University. Hidden from public view, many invisible hands of the pharmaceutical industry channel streams of drug information and knowledge from contract research organizations (that extract data from experimental bodies) to publication planners (who produce ghostwritten medical journal articles) to key opinion leaders (who are sent out to educate physicians about drugs), and onward. 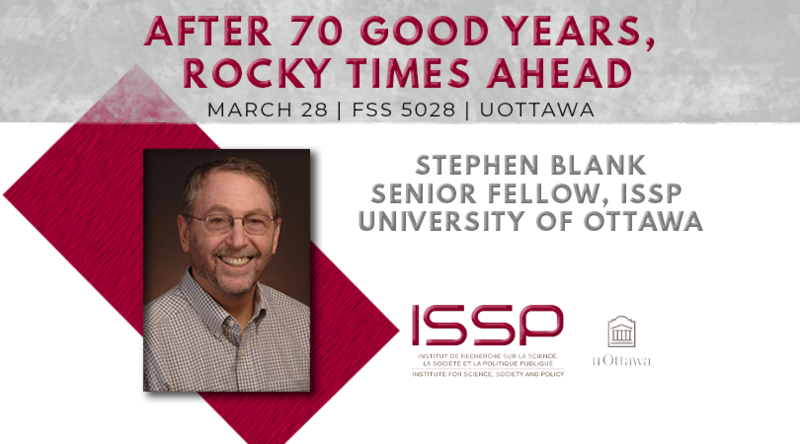 The ISSP was delighted to host Stephen Blank, Senior Fellow, ISSP, University of Ottawa. We live today in a moment of remarkable historic transition – the end of “The 70 Good Years” and the emergence of a new global order. We leave a world largely characterized by linear change in many critical dimensions, and enter a new world in which discontinuous change is the rule. We leave a world in which change has been generally clear, one step proceeding upon another. We enter a world in which future scenarios diverge widely. The key drivers of this powerful transformation are technology, climate change and demographics. 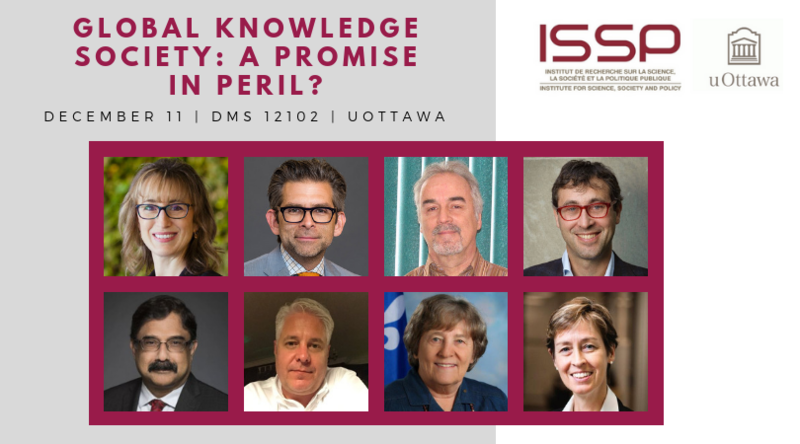 The Institute for Science, Society and Policy and the Royal Canadian Institute for Science were delighted to host the first panel of the second year of the ISSP-RCIScience Lecture Series. 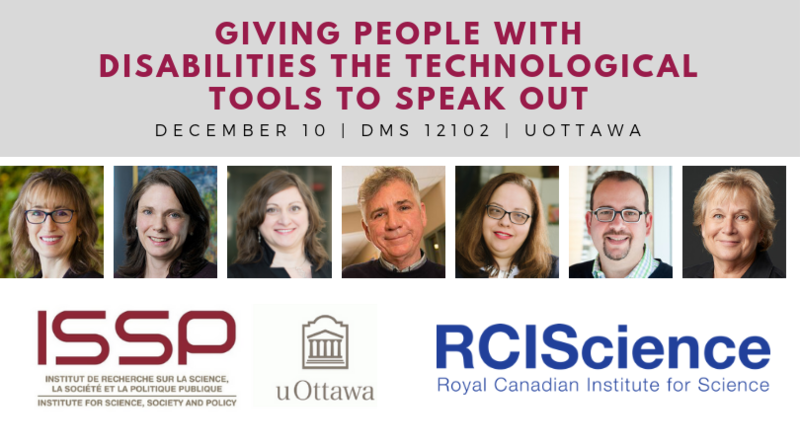 The series focusses on the impact of emerging science and technology on society. 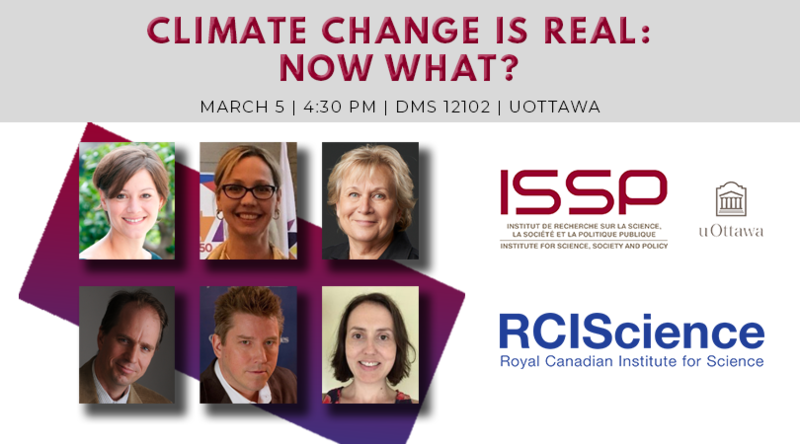 On March 5, we discussed the science, policy and societal implications of climate change. 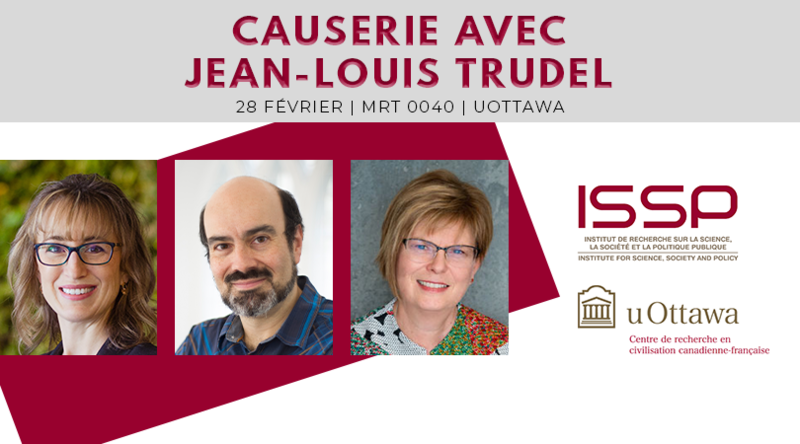 The ISSP and the Centre de recherche en civilisation canadienne-française were delighted to invite you to the Talk with Jean-Louis Trudel titled Les marées à venir : le cas de Québec. This activity was offered as part of FRA 3545, "Contemporary Literature of French Ontario". 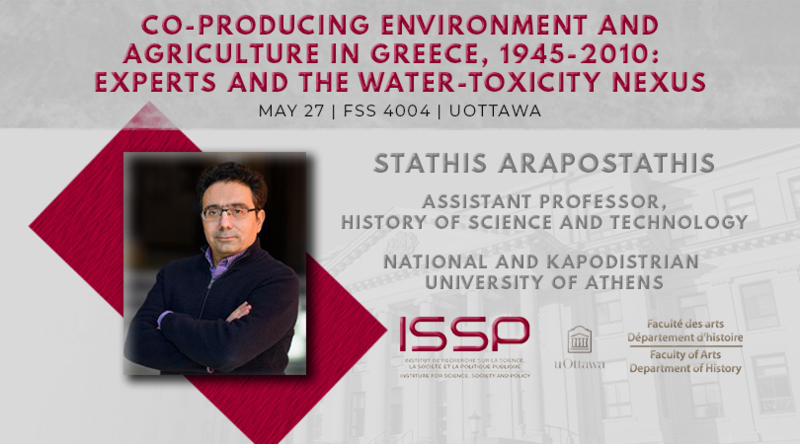 Free activity, open to all students on Thursday, February 28, 2019 from 4 PM to 5:30 PM, at the University of Ottawa Morisset Hall, CRCCF 65 University Street, Room 040. 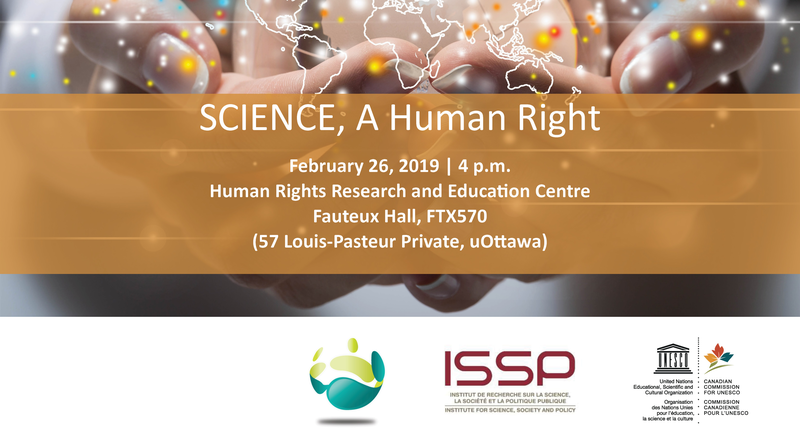 The Human Rights Research and Education Centre, the Canadian Commission for UNESCO, the ISSP, and Scholars at Risk (SAR) uOttawa were delighted to present SCIENCE, A Human Right. 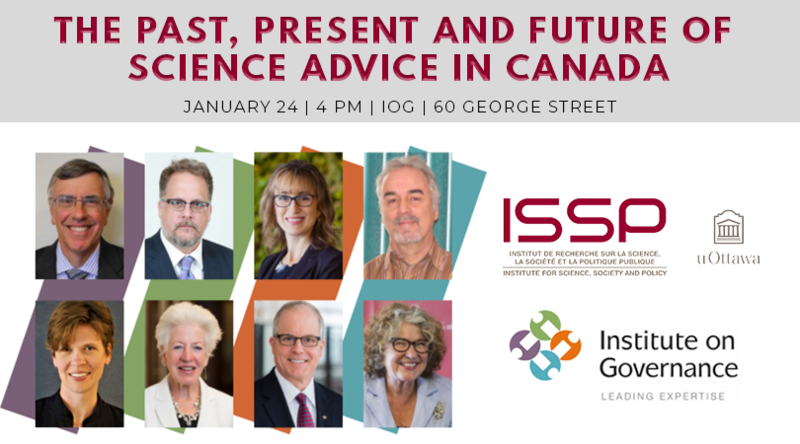 The ISSP and the Institute on Governance (IOG) were delighted to host an event for Senior Fellows Paul Dufour and Jeff Kinder for the launch of their edited volume The Lantern on the Bow: A History of the Science Council of Canada and Its Contributions to The Science and Innovation Policy Debate. This roundtable discussion kicked off with a presentation on U.S. science priorities and policies and opportunities for U.S.-Canadian research collaborations. 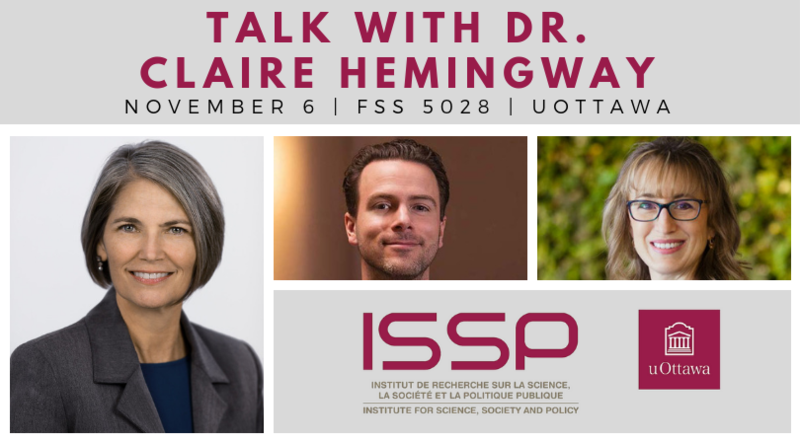 Currently an Embassy Science Fellow in Ottawa, Dr. Claire Hemingway is a program director at the National Science Foundation (NSF).